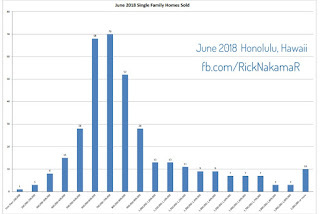 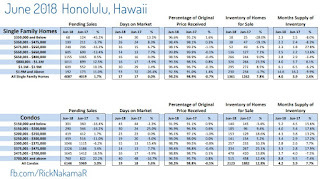 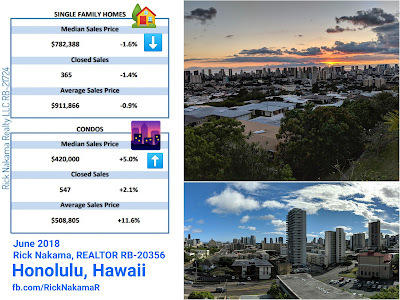 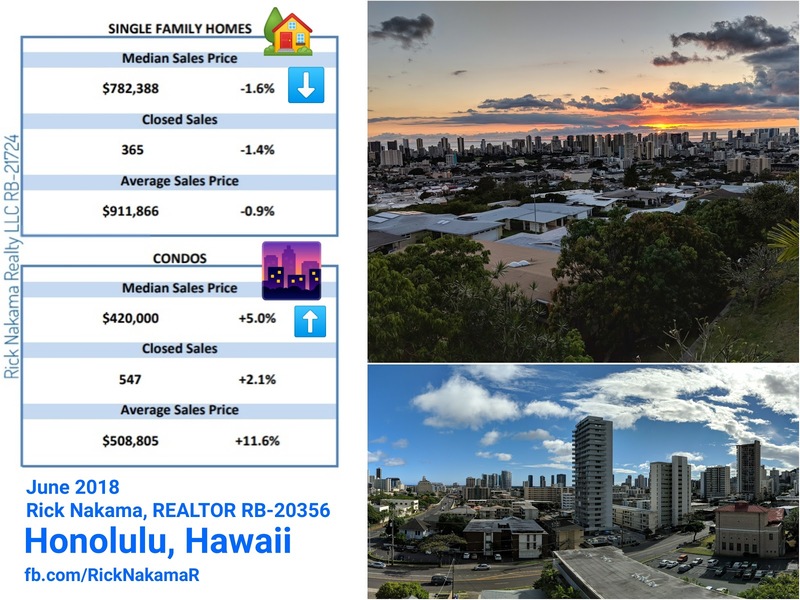 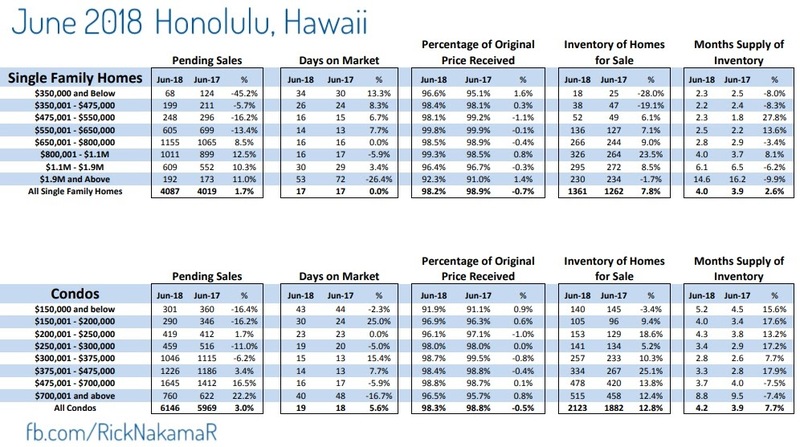 The Honolulu Board of Realtors statistics for residential sales shows steady activity for the beginning of the summer season. 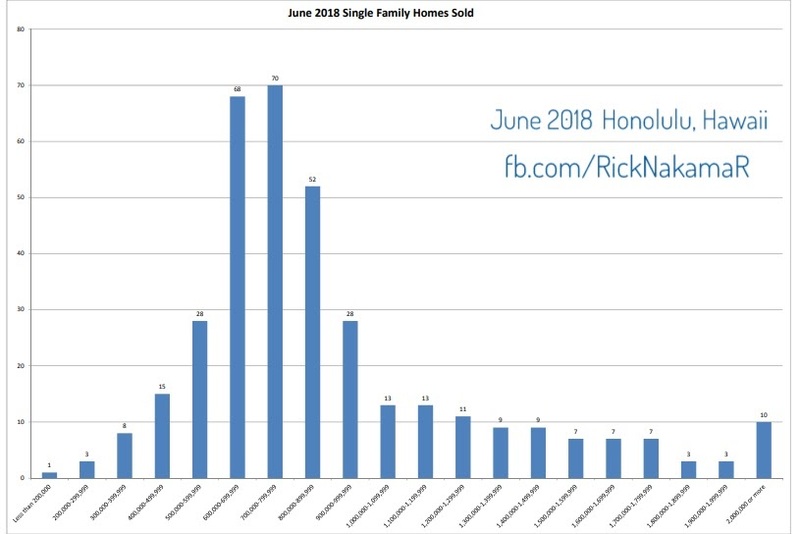 The median sales price of single-family homes is down just 1.6% to $782,388 with an average of 16 days on market. 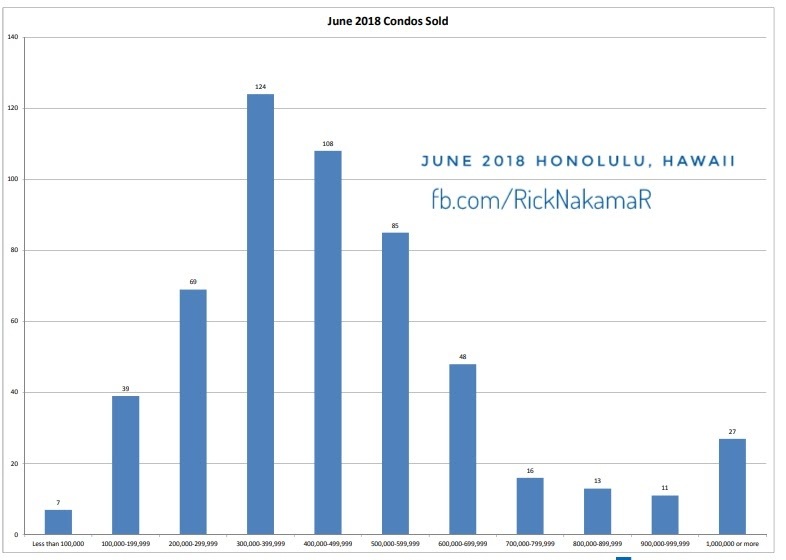 The median sales price for condos has increased by 5% to $420,000 and an average of 18 days on market. 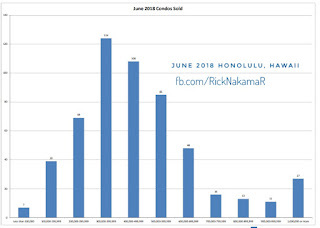 The summer months typically show increases in activity and this June's results are not far off from the record setting statistics of 2017.